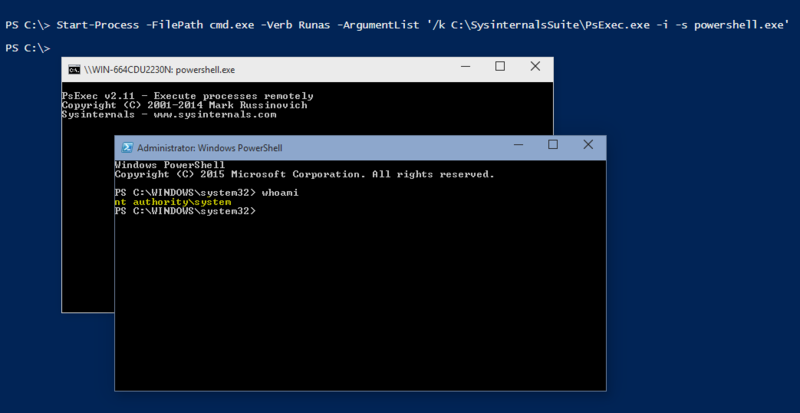 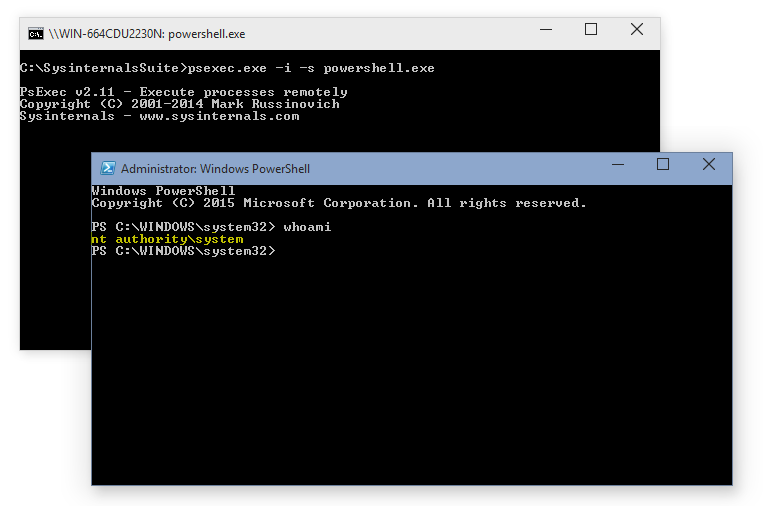 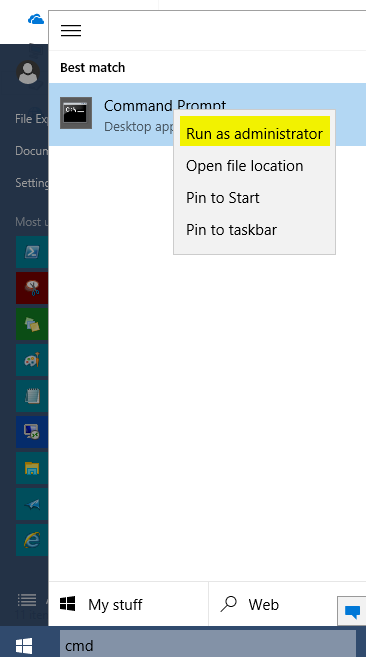 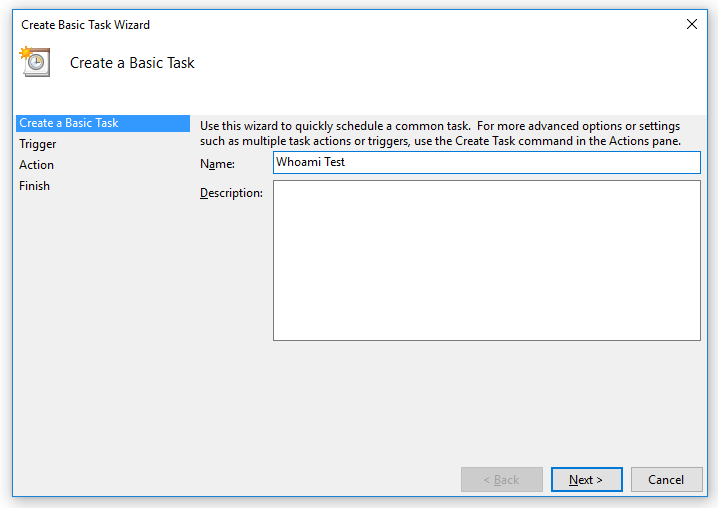 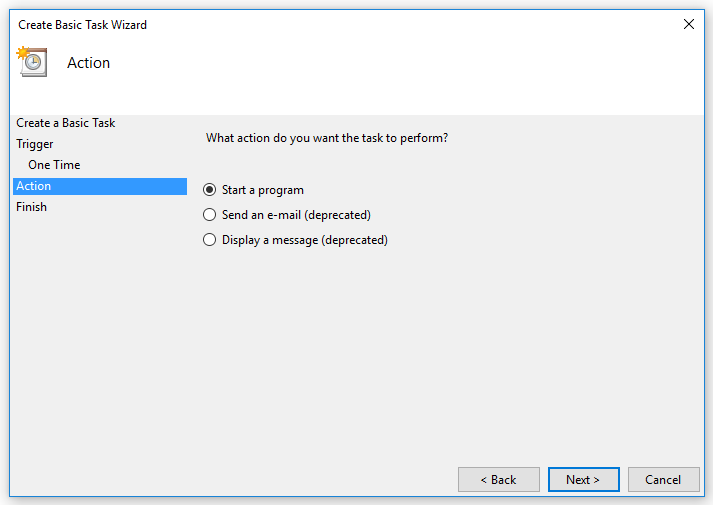 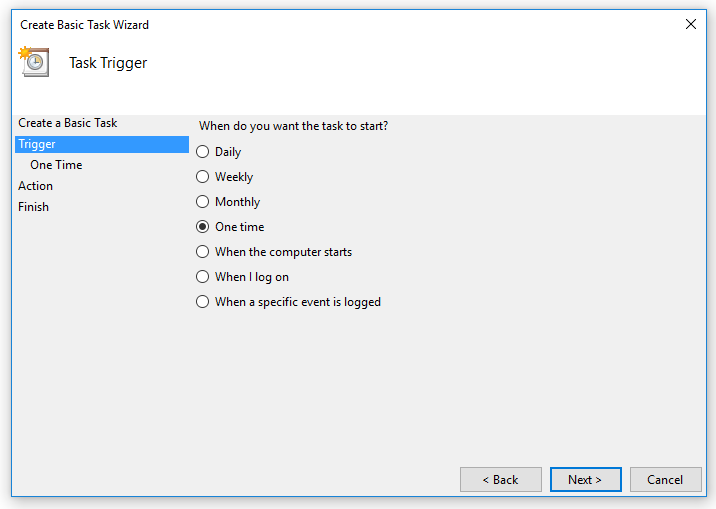 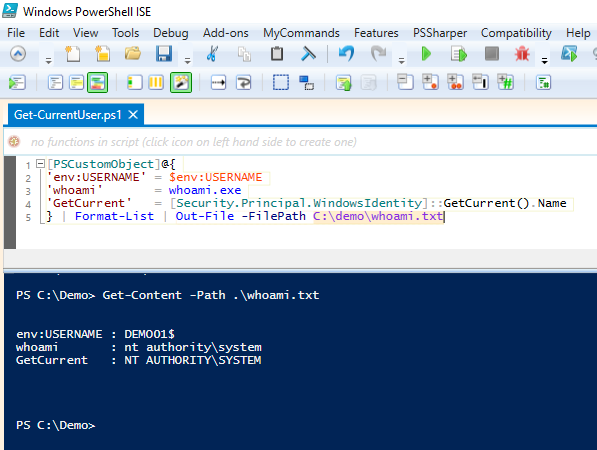 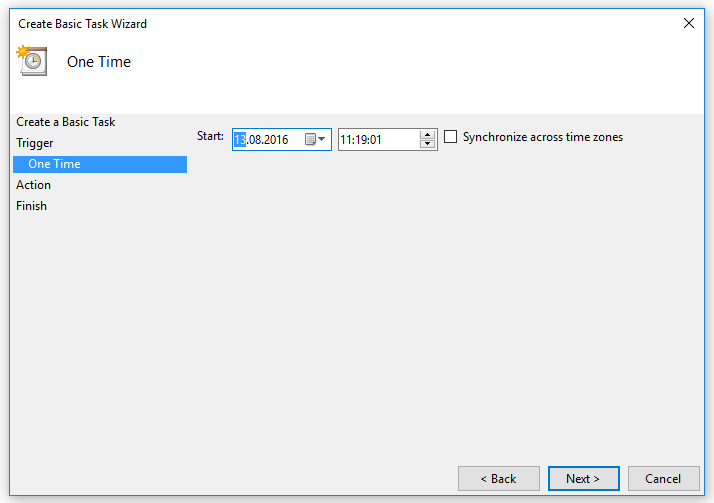 Tip: You can run PowerShell as NT AUTHORITY\SYSTEM in interactive mode or as a scheduled task. 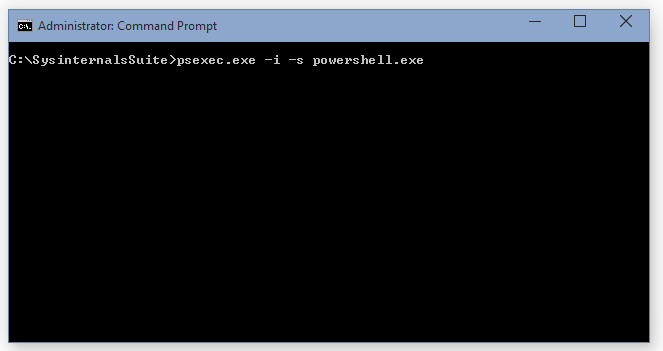 Note: PsExec is a tool written by Mark Russinovich (included in the Sysinternals Suite) and can downloaded here. 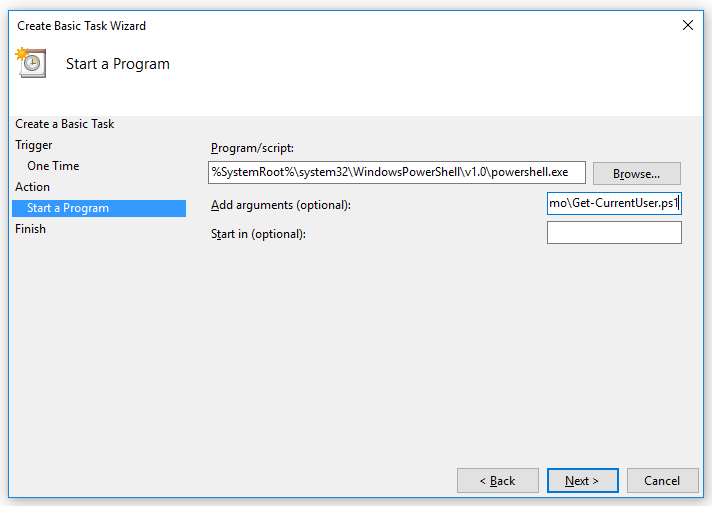 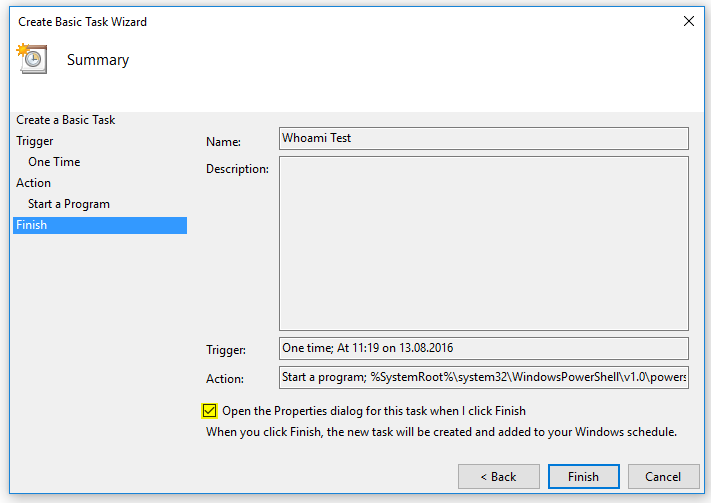 Note: I didn’t checked the box “Run with highest privileges” in this case as not needed but somtimes you could need that enabled.